Quality Improvement — Intelligent Improvement Consultants Inc.
For Patient Experience survey results to have meaning and stimulate improvement to the program, they should be presented to clinicians and staff in a consumable manner. 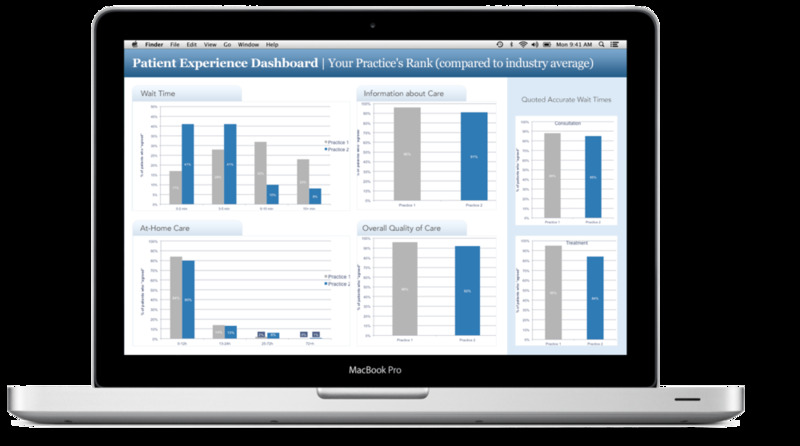 I2C can implement interactive dashboards as part of your Quality Improvement program to allow knowledge derived from the patient experience to be used for program improvement. I2C has partnered with Jack Digital Productions’ My Cancer GuideTM (MCG) as the core infrastructure and knowledge management tool in its patient experience improvement system. MCG is a clinically integrated communication, education and survivorship tool that supports providers and engages patients as partners in care. Patient engagement is a core principle of successful person-centered care. Moreover, patient engagement enhances control and reduces costs by optimizing the time busy healthcare professionals spend with patients and their families. Patients perceive improvements in their quality of care when they are able to participate in and self-manage important aspects of their treatment and positively impact their quality of life. Engaged patients allow health care organizations to benefit from higher efficiency and increased throughput and capacity. My Cancer Guide™ is the person-centered, virtual navigation and patient empowerment infrastructure that facilitates active and effective patient engagement in their care and while optimizing their relationship and communication with their healthcare team. For Oncology Health Care Providers…. Today, patients expect on-demand, high-quality information as part of their care and post-care experiences, including survivorship. My Cancer Guide fulfills this need and is the ideal support for health care organizations wishing to engage patients in person-centered care. In fact, a study with patients showed an average total time spent using My Cancer Guide was 1 hour, and that patients typically discussed the information with their families and not with their physicians. My Cancer Guide has a robust usage tracking system built into its infrastructure. This system enables centres and researchers to monitor patient uptake of the tool and track its usage. This helps facilitate implementation, future updates and development of the tool. My Cancer Guide’s platform can be used for ongoing studies on disease information uptake and navigational needs. In addition to collecting real-time usage data and feedback, optional custom surveys can be integrated for use by researchers. Haase, K.R. and Loiselle, C.G. (2012). Oncology team members’ perceptions of a virtual navigation tool for cancer patients. International Journal of Medical Informatics, 81(6), 395-403.